Its all about the data? These three devices should tell us how far, how fast and all claim to tell us how many calories were burned during that exercise. All are something you wear/carry on a run. Dock when you get back and each has a fancy website to analyse the results. Out of interest I went out wearing my Garmin 610, Fit Bit Ultra and carried my Ipod Nano - with Nike+. 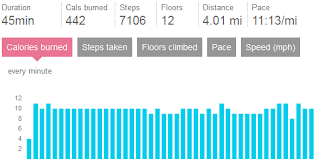 After some more research found a "Running Stride" length setting for the fitbit. 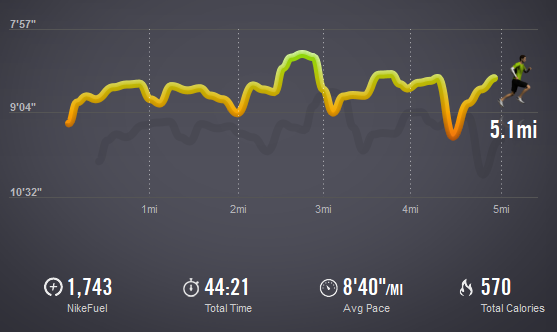 I calculated this from the run above, using the formula (63360 x Miles / Steps = Stride in inches ) on the website. Each devices summary is shown below. Both the Nike+ and Fitbit are using similar technology to "count" your distance, whilst the Garmin is using Acutal GPS tracking; and the map showing the route is exactly correct so I have the most belief in the Garmin result. Theres alot of talk around the calorie calculations used generally but the Garmin doesnt compare because its more accurate distance measurement at 5.21 miles used. To validate the calories, I used My FitnessPal to compare which computes 578 calories. 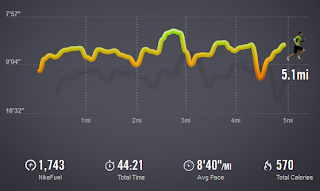 EDIT: To verify the Garmin accuracy I used WalkJobRun website to compare, manually plotting the same route. The numbers are fairly close to the Garmin, so I believe the is proven to be the most accurate. To summarise, Garmin gives you the most accuracy in terms of distance but is the most expensive. The Nike+ gives you an iPod to play with, radio and music on your run too, and the Fitbit gives you the most "overall" health tracking - the Fitbit website allows the tracking of food, sleep, weight etc. I'm enjoying the Fitbit ultra tracking, the statistics and comparisons to peer groups is really interesting - and will have its own post here soon. For me a combination of Fitbit Ultra and Nike+ option makes a good combination for recreational/fitness running. Basically if you want accurate distance tracking for race events, Garmin is the device you need, and you'll need to pay that bit more. 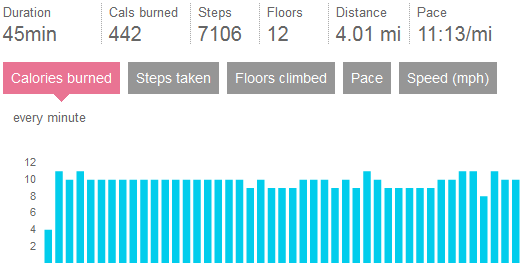 For general fitness the Fitbit solution is superb. Garmin just wont work for this, its battery will only last a few hours. Fitbit works for days (5 days without charge for me), 24 hours a day. The Fitbit website is one of the best sites I've used and allows you to integrate exercise with food, sleep and lots of other data.